So, for those of us who have not converted to being completely ‘green’ – we can still do a small part to help the environment. With the right attitude and ‘bag’ knowledge, you can simplify this task and return more than just your grocery bags to the store. Can I recycle all of my plastic bags and film? 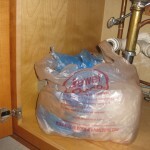 Most but not all plastic bags and plastic film can be placed in your grocery store ‘bag’ bin. We will go into the specifics here. 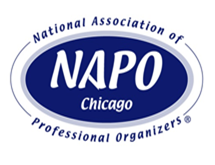 Note that majority of the following information is through courtesy of the Plastic Recycling Organization. Overwrap that covers toilet paper, Kleenex and paper towels. Most bread bags and wrappers. Note that some of the wrapper/bags for specialty breads from a bakery, or from the bakery section of a grocery store do not stretch; they are more like cellophane and are not accepted in this recycling stream. Make sure all your bags are clean and dry, and do not have any food residue. Any labels and tape should also be removed and placed in your trash. Candy wrappers, flower bouquet wrap, and chip bags. Note that these crinkle when squeezed. Stiff plastic like bedding bags with zippers. Frozen food packaging; these generally have other additives to protect the food and extend shelf life. 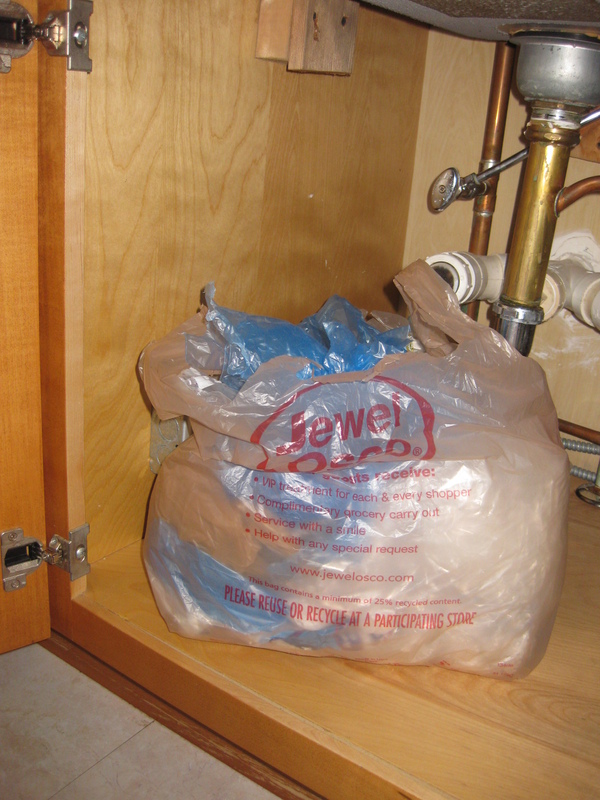 Bags/plastic having a silvery or metallic lining. Examples include snack pouches/bags and printer ink cartridge packing. Any type of bag or film marked as biodegradeable or compostable. These items should be placed in the trash. Why can’t I just put these items in my recycling bin? Most of the heavier and stiff plastic bottles are picked up by the local recycling companies in your town or village. But because plastic bags and film must also be clean and dry for recycling purposes, placing these items outside for pick-up will expose them to the elements and possibly contaminate them. In addition, with windy and inclement weather, these bags can easily fly out of the bins, adding garbage to the environment and getting tangled in foilage. 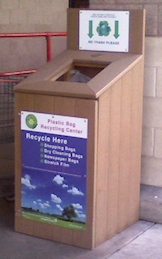 While many plastic bags are recyclable, they need to go through a different process due to their lightweight nature. If they are put onto conveyors with heavier plastic bottles, they can easily fall off the belts and jam up the machinery. What happens to all these bags? 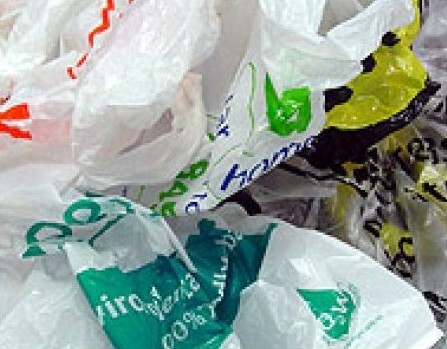 Plastic bags are recycled into many different products. Most bags and film are turned into composite lumber, but they can be reprocessed into small pellets or post-consumer resin, which can be used to make a variety of new products, such as new bags, pallets, containers, crates, and pipe. 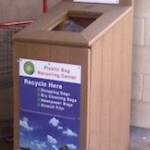 Trex, a company offering high-composite decking products, is very active in the recycling of film plastics. Trex makes composite lumber products from this recycled material. Take a look at this plastics recycling video to see how they do it! So what’s the best way to collect these bags in between your treks to the grocery store? Find an open space in your kitchen – preferably in a drawer or cabinet, so you will not add to your ‘clutter.’ I place a small plastic grocery bag under the kitchen sink, and fill it up with other film and plastic bags all week. When you squeeze them down, they really don’t take up much room. I can easily fit a week’s worth of bags into the bag shown here. Then when I’m ready to go for more groceries, I hopefully remember to grab both my list and the filled bag. What to do with FOAM?